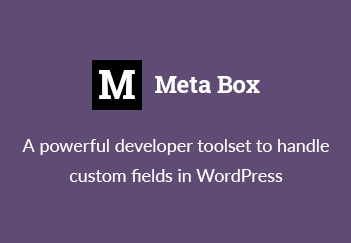 Meta Box is a must-have plugin for WordPress developers, who wants to custom meta boxes and custom fields in WordPress. It provides lots field types and options in a very lightweight, fast plugin. Also, it’s trusted by more than 300000 users!